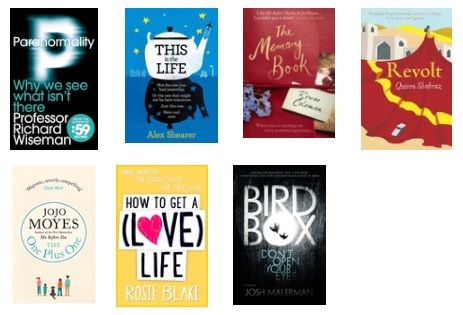 Well it’s been a very short and super quick month–but somehow I’ve managed to keep it quite bookish! Just a quick blurb on why I didn’t finish this one… it wasn’t that I didn’t like the book or the idea behind it, I loved the eyebrow-raising factor of a woman killing and eating her husband. The writing itself was fantastic and I really enjoyed what I did read. Even so, there were passages that absolutely turned my stomach and made me so nauseated that I had to put the book down. That in itself should be a testament to Young’s writing–the fact that I felt physically ill reading parts of this book is quite impressive. Read at your own risk, not after a meal and cross your fingers that you’ve got a stronger stomach than mine! So… have you read any good books lately? Give me some recommendations!